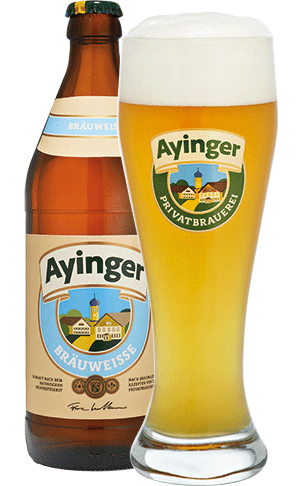 Ayinger Bräuweisse is a classic, sessionable, Bavarian Weissbier and is brewed according to the traditional German Reinheitsgebot. It is a flavorful, refreshing, fruity Weissbier, with a slight spicy aftertaste. This beer has won gold at the European Beerstar 2015.